Dogs are loyal, faithful, and…shameless? 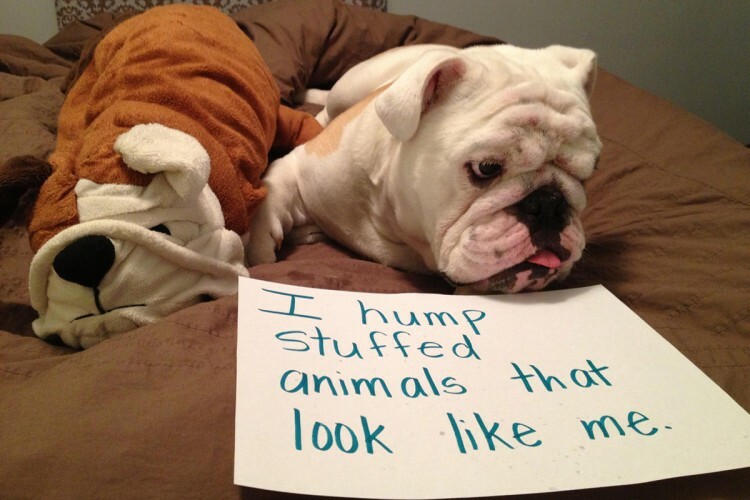 Dogshaming.com features our favorite furry friends shamed by their forgiving owners along with a clever sign that details their doggy crime. Some dogs look genuinely sorry while we suspect others are ready to turn around and do it all over again once the camera is off. Surrounded by evidence of their transgressions, these shameless dogs and their antics make for some hilarious photographs sure to tickle the funny bone of pet-owners and non-pet owners alike. How Did He Do This?!?! I Want a ‘Pizza’ You! Hector is on the Naughty List. Indefinitely.